In this unique tragicomedy, four women in Depression-era St. Louis live and work together in a valiant effort to stave off loneliness and despair. And, along the way, they uncover false idols – and maybe even themselves. 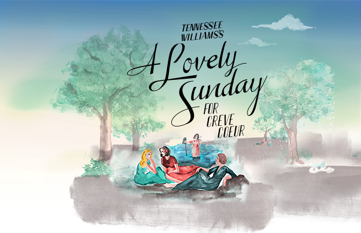 La Femme Theatre Productions presents the revival of Tennessee Williams's A Lovely Sunday for Creve Coeur, featuring Kristine Nielsen, Annette O’Toole, Jean Lichty, Polly McKie.